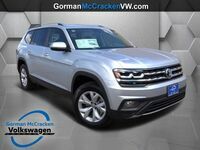 The newest entry into the Volkswagen lineup, the 2018 Atlas brings the company’s standard for comfort and refinement to the midsize crossover segment. 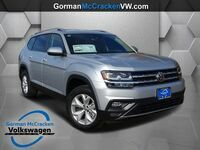 This impressive new vehicle offers two capable engine options along with an extensive list of trim levels and features. 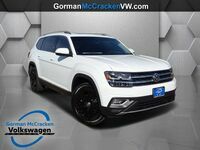 The end result is a new vehicle that is ready to hold its own in the competitive crossover segment. Two engine options are offered on the 2018 Atlas. Standard equipment includes a four-cylinder engine that checks in at 235 horsepower and 258 pound-feet of torque. Also available is a V-6 engine that increases the horsepower rating to 276 horsepower and 258 pound-feet of torque. Both engines are paired with an eight-speed automatic transmission. Front-wheel drive is included as standard equipment, while all-wheel drive is also available. Car shoppers considering the 2018 Atlas will have five trim levels to choose from. 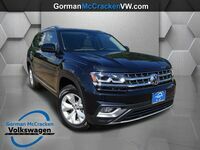 The new crossover is offered in S, SE, SE w/technology, SEL and SEL Premium models. Each trim level will offer a different collection of features. 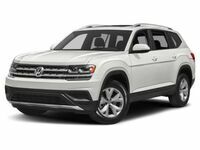 The Atlas can be equipped with many of the best comfort, safety and technology features Volkswagen has developed. 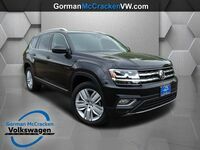 Comfort Features: Dual-zone climate control, panoramic sunroof, simulated leather upholstery, heated seats, rear sunshades, second-row captain’s chairs, full leather seating. 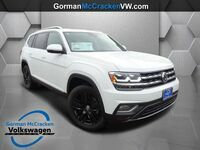 Technology Systems: Android Auto, Apple CarPlay, Bluetooth Connectivity, touchscreen infotainment system, satellite radio, push-button start, automatic headlights, remote engine start, power rear liftgate, Volkswagen digital cockpit, LED taillights. Safety Systems: Rearview camera, blind-spot monitoring system, adaptive cruise control, lane-keeping assist, automatic emergency braking, parking assist system, automatic post-collision braking system, tire pressure monitoring system. Storage space is an important factor for most car shoppers considering a crossover. 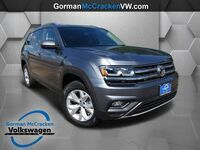 With the rear seats in place, the 2018 Volkswagen Atlas offers 20.6 cubic feet of storage space. Folding down the third row of seats increases this number to 55.5 cubic feet.